Elizabeth Kendrick, longtime Hereford resident, went home to be with her Lord Monday, June 11th, at the age of 79. 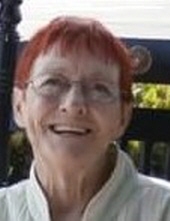 Mrs. Kendrick was born on May 31, 1939 to Loice and Martha (Barger) Maness in Hotchkiss, Colorado. Elizabeth met the love of her life, Bobby Kendrick, as a teenager at Primitive Baptist Church in Missouri. They married later on August 25, 1958 in Pacific, Missouri, and moved to Hereford, Texas in 1965. She was a devoted and unconditionally loving wife and mother to her husband and four daughters. She was a godly woman and dedicated to raising her girls to be the same. The family recalls that she accompanied her thirteen-year-old daughter down the aisle to answer the altar call where both she and her daughter made Jesus their personal Savior that day. She was a high school graduate and was a teacher of all grades at Grace Christian School in Canyon, Texas for five years and was the Church Youth Director at Frio Baptist Church. During her time as Youth Director she was responsible for Vacation Bible School, Camp Fire Girls, and puppet shows. In her spare time, Elizabeth loved sewing, crochet, camping, gardening, canning, and reading. Mrs. Kendrick is preceded in death by her parents, her brothers Vergel Maness and John Maness, as well as her granddaughter Robin Anne Rice. Those left to cherish her memory are her children: Melody and Richard Sims, Juanita and Bryan Fortenberry, Barbara and Terry Rice, and Glenda Kendrick. Elizabeth leaves behind 9 grandchildren, 14 great-grandchildren, many cousins, nieces and nephews, and a host of friends. The family requests that memorial donations be made to the Breast Cancer organization of your choice. "Email Address" would like to share the life celebration of Elizabeth Kendrick. Click on the "link" to go to share a favorite memory or leave a condolence message for the family.